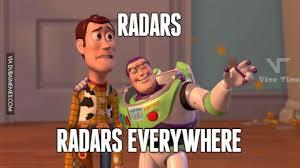 Too much radar in MM? i was also playing missouri... thats the enemy team and wait for it go figure i was the only radar bote! Ouch, poor DDs. I almost feel bad for them in the my MO (almost). I generally don't support messing with MM, but I do think that radar really needs to be accounted for, if not in random then absolutely in ranked. Upper tier Randoms is a lot less fun with all of the radar ships out there. Had a game with 6 Missouri's - only 2 on my team. Not to mention the Russian cruisers running around with their long lasting, far reaching eye of Sauron. I doubt its gonna change anytime soon though. Just gotta deal or drop down I guess.